Have you ever wanted to see playtime from your cat’s perspective? Thanks to today’s innovative cat collar cameras, you can get one-of-a-kind footage to keep those precious moments with your pet forever. Cat collars come in a wide variety of shapes and sizes, each offering unique benefits like video streaming and GPS location. The best collar camera for your pet depends on its purpose and your budget. Some cameras are mounted to get a clear cat’s-eye perspective, while others mount to their chest or to the back of their harness. Some are best used for capturing your special moments together and others are most useful for tracking your furry friend while they explore the great outdoors. In this article, we’re going to look at the five best cat collar cameras you can buy online. We’ll discuss different types of collar cameras (and monitors), the best cameras for indoor and outdoor use, how to choose the best one for your bet. Whatever your reason, there is a cat collar on the market that will meet your needs. As technology advances, more and more companies are developing cameras and monitors for pets. As families are learning more about the possibilities of cat cameras, they’re embracing them as standard pet supplies (just as we did when microchipping became common practice). According to TechRadar, GoPro is a popular household name, and for good reason: they produce the best miniature HD cameras on the market. 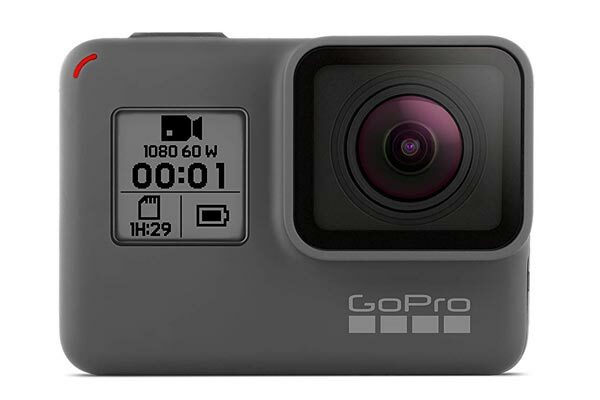 If you have the budget, there’s no better camera collar than GoPro’s latest HERO model, offering a waterproof design and full-HD recording. You may need to purchase a separate mount or harness to use it with your pet, but the extra investment will offer the best cat’s-eye footage possible with consumer-grade equipment. What makes the GoPro HERO so great for recording your cat’s adventures? Unlike the other cameras on this list, the GoPro HERO records in 4K resolution. It’s fitted with a 12MP lens, so any video or camera you shoot will be crystal clear. The camera itself is durable and waterproof, making it ideal for outdoor use. How waterproof? The GoPro can sit in 10m (33 ft) of water for up to 30 minutes without damage – guaranteed. Your cat can run through mud, splash in puddles, and climb the highest trees without damaging your GoPro. Using the camera is easy and straightforward, thanks to its 2-inch touchscreen. Navigation is simple and intuitive, making it the perfect choice for videographers of all skill levels – from beginners to professionals. The GoPro HERO sports Bluetooth and Wi-Fi capabilities so you can access your footage and stream it to another device with a few quick clicks. Using the app, you can easily offload your image from the GoPro to another device, storing them safely wherever you’d like. According to YourHomeSecurityWatch, The DOGTEK Eyenimal Cat Videocam offers everything you expect from a premium collar camera. Unlike the GoPro HERO, it attaches directly to your cat’s collar or harness without an additional mount or attachment. It’s also roughly half the price of the GoPro HERO, making it a great choice if you’re working with a smaller budget. With autofocus and night vision, you’ll see everything your cat sees in crystal clear quality. The rechargeable lithium-ion battery offers more than 2.5 hours of charge so you can let your cat roam without worry. According to Gizmodo, Looking for an inexpensive camera to satisfy your curiosity? 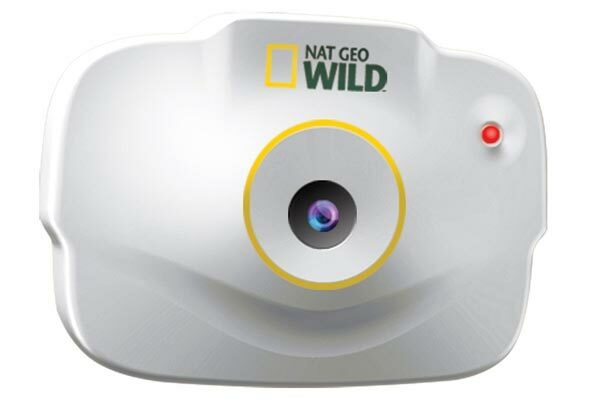 You don’t need to spend $100 to see what your cat sees, thanks to National Geographic’s affordable Pet’s Eye camera. The National Geographic Pet’s Eye Camera focuses more on creating exceptional still images than videos. You cannot use it to record video, but it’s an incredible choice for cat’s-eye photographs. You can easily clip the camera onto any collar or harness and take up to 40 pictures with the included internal storage. With auto-interval settings, you can set timers to take photos every few seconds to create a slideshow of your cat’s adventures. Although this camera doesn’t record video or offer GPS tracking, it’s one of the least expensive cameras on this list, making it a perfect option for beginners or pet owners on a limited budget. The Leegoal Waterproof Pet Camera is the quintessential accessory for any curious pet owner. Designed with your pet in mind, its lightweight design and small form factor pack excellent technology in one small camera that’s comfortable to wear. Never worry about running out of storage with this camera – with support for up to 32GB SD card, you’ll have plenty of room for your photos and videos. The camera’s interface is simple and easy-to-use, making this product a perfect choice for experienced videographers and beginners alike. Like the GoPro HERO, this camera is not specially designed for pet footage. However, it offers everything you’ll need and more to have a great experience videotaping your pet. The camera itself does not offer a collar mount, but you can purchase one separately or mount it with household materials. It’s small and lightweight, perfect for pets of all sizes. If you don’t feel like mounting it to your pet’s harness, it’s great for videotaping them while they’re at home. Magnetic strips in the back of the camera let it attach to many surfaces with ease. It offers a variety of premium features, including loop recording and motion sensing. 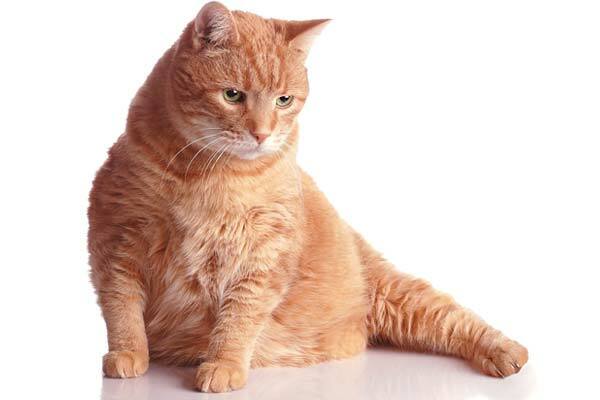 Small and lightweight – your cat won’t notice he or she is wearing it! Does not attach to collars without modifications (it ships with double-sided adhesive tape to use with collars, but other adjustments may be required). What is a Pet Camera for Cats? To many of us, cats are an important part of our family. You might find yourself worrying about your pet if they roam outside without your supervision, or you may want to capture unique footage to add to your digital scrapbook. Enter the collar camera, a small device designed especially for pet owners and their furry friends. A pet camera attaches to your cat’s collar or harness. As they explain, the camera records from their perspective. By using a camera for your cat, you can answer one of life’s greatest mysteries – where does he or she go when you let them outside, and what do they do all day? Most cameras are small, durable, and go unnoticed by your pet. They’re readily available online with price points to fit any budget. 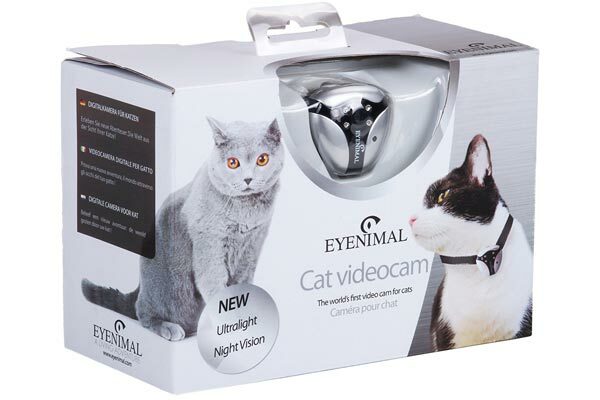 Think a collar camera will be a fun investment for you and your cat? With so many choices available, it’s important to choose the one that fits your needs the best. Are you using it to get a first-person perspective of your cat’s adventures? Are you using it to make sure they are safe and keep tabs on where they are? Are you using it to track them with GPS? Will you use the camera indoors or out? If you’re using the camera to get cat’s-eye footage, consider a camera that mounts on the front of your cat’s collar. By mounting it in the front, you can get a clear view of what your pet sees as they explore. These types of cameras are also great for keeping tabs on your pet, especially when coupled with GPS. Cameras with GPS are essential if you want to track your cat’s location. You can see exactly where your pet is any time the camera is powered on, making it easy to find them if they go somewhere unexpected. In general, collar cameras are waterproof, but it’s important to check before purchasing – especially if you’re using it outdoors. Some cameras are specifically for indoor use, so double-check the product description when you place your order. If you’ve ever heard of (or used) “smart” collars for cats, you might wonder how they differ from the camera collars listed above. Cat monitors and collar cameras share some similar benefits, but there’s one key feature missing from most smart collars: footage. Smart collars and cat monitors are fitted with GPS technology so owners can track their pets from an app or website. Some collars have the navigation system built in and others are monitors you can attach to accessories you already own. Monitors are a great way to track your pet, but it’s a major advantage to fit them with a camera alongside GPS. If a person steals your pet, they can discard the GPS tracker leaving you out of luck – when you use a camera, it’s harder for others to claim your pet as their own. You can see everything that happens, from the time they pick up your pet to the time you pick them up. Do Cat Camera Collar Systems Have GPS? 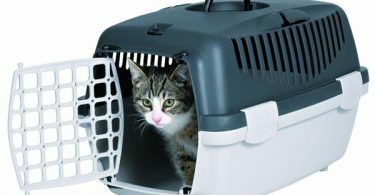 Although cat monitors are most widely known for their GPS features, many cat camera collar systems offer location services. GPS isn’t a standard feature on all cat camera collars, but many products offer it alongside video recording. If you want a camera collar with GPS, do your research before purchasing. Each product’s description will tell you whether it’s outfitted with GPS so you can choose one that best fits your needs. If you already have a cat monitor with GPS, you can purchase a camera without one to make your cat’s setup complete. What is the Best Cat Camera for Outdoor Use? Many camera collars are designed for outdoor use, but some perform better than others. If you’re choosing a camera to use outside, make sure it has a high water-resistance rating and a long battery life. Choose one that has plenty of storage so you don’t have to worry about the camera running out of the room as it records. We recommend the Leegoal pet camera on Amazon, thanks to its waterproof design, small form factor, and long-lasting battery life. Waterproof GoPro cameras are another excellent choice if you want to invest a little more in your pet. 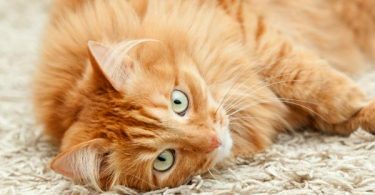 What About In-Home Cat Cams & Cat Camera Apps? 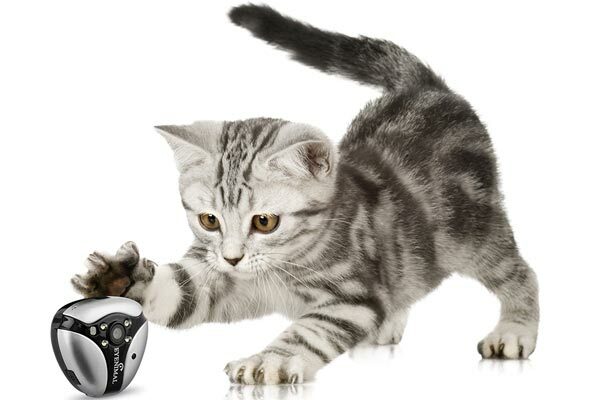 In-home cat cameras have skyrocketed in popularity over the past few years. They range from small devices (like nanny-cams) that record video to advanced communication systems with treat dispensers. Many high-end models let you video chat with your pet from your phone and give your pet a treat – even if you’re miles away! If you want the very best in-home cat camera, we recommend the Furbo camera from Amazon. 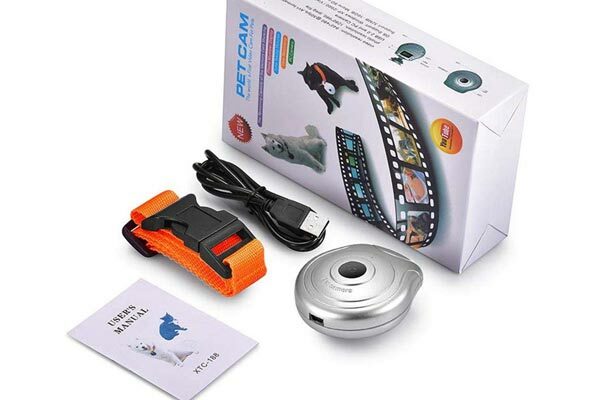 Suitable for cats and dogs of all sizes, this camera is stylish, small, and high-tech. It offers a webcam that will record your pet and send the footage directly to your phone – in real time! The best part about the Furbo? Using the app, you can give your cat a treat remotely. Simply press a button and the camera drops a pre-loaded treat – it’s that easy! In-home cameras that attach to collars are available, too. They may not have GPS tracking and are usually more budget-friendly than their stationary counterparts. What is the best camera for getting the true “cat’s eye view”? The best way to get a true cat’s-eye view of your pet’s adventures is to mount a camera on the front of their collar. Doing so lets you see exactly what your cat sees, as they see it. Shots from a front-mounted camera are usually more accurate to your pet’s experience that cameras mounted on the back of their harness. If you’re looking for a front-mounted collar camera, we recommend the Eyenimal Videocam from DOGTEK. It offers a true cat’s-eye view in beautiful 736×480 video resolution. Unlike many other cameras, the Eyenimal Videocam records audio so you can get the full experience from your recordings. With recent advancements in technology, keeping tabs on our pets is easier than ever. Soon, runaway pets will be a thing of the past as we accept tracking devices as standard pet supplies. By fitting your cat with a collar camera, you can bond with them more closely. You can see what life is like from their perspective and learn what they like to do when you aren’t around. 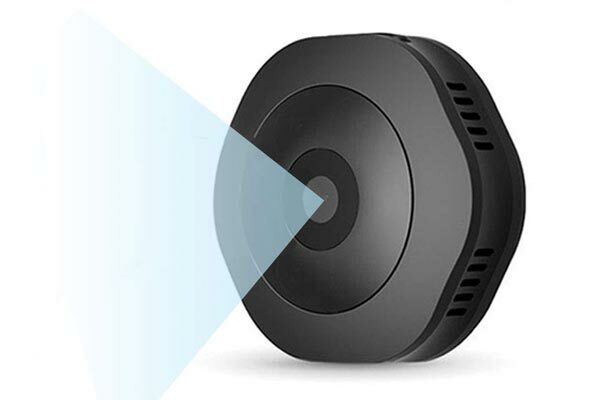 Moreover, while they’re enjoying the great outdoors with their camera collar, you can enjoy peace of mind knowing you can find them any time you need to.